With the rapid increase in compute intensive day-to-day applications, Solid-State Drives (SSDs) are fast becoming one of the most essential upgrades to boost your computer's performance. With the latest SATA Technology and newest Intel NAND Flash, the Intel SSD 335 Series offers the perfect combination of performance, quality, and price€”making it the best value upgrade for your personal computer. 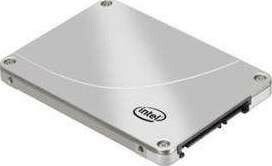 We offer express delivery to Dubai, Abu Dhabi, Al Ain, Sharjah, Ajman, Ras Al Khaimah, Fujairah, Umm Al Quwain, UAE for INTEL 240GB 2.5 Inch SSD 335 Series | SSDSC2CT240A4K5. We offer the best price for INTEL 240GB 2.5 Inch SSD 335 Series | SSDSC2CT240A4K5 in Dubai, UAE. Buy now with the best price!